Ready for a Food Revolution? Some of us in the You Can Do It Yoga Crew have been on a path of food enlightenment for several years now. When several of our friends and family members began to experiment with alternate food choices, i.e. vegan, vegetarian, raw, etc., we thought maybe we should start thinking more about what and how we eat. We began our search by making the rounds to the usual suspects like People for the Ethical Treatment of Animals and got a little frightened, but then found some other sources like the Organic Consumers Association, Vegetarian Times magazine and Local Harvest, a great site that allows you to find farmers markets all over the country. What we realized is that if we allow profit driven corporations to dictate the type and quality of food we eat, we're in trouble. Corn Syrup is much cheaper than real sugar, but it's definitely not the healthiest substance around. Check out some of the sites we listed above. 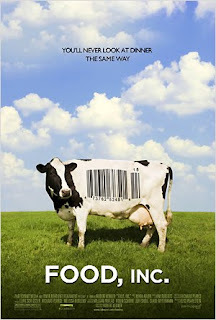 Watch a couple great documentaries on the subject like Food Inc., or King Corn. It seems like the mainstream media is even getting wise to the movement, ABC has a new show out called Food Revolution. Here's a great writeup about the show on one of our favorite blogs - Have Fun - Do Good! 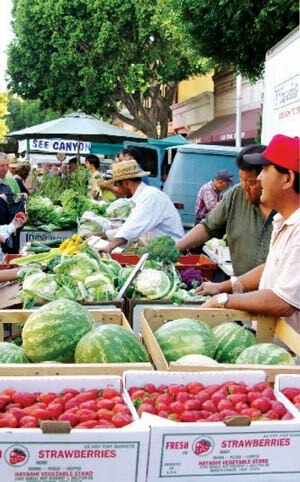 Support your local Farmer's Market. Read the labels on your food! The You Can Do It Yoga Crew wants everyone to live a healthy and happy life. Make good decisions about what you put in and do with your body - it's the only one you've got!